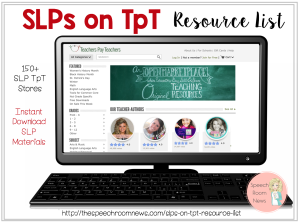 I’m sure you’re a fantastic SLP who just LOVES to go to different professional development opportunities. Attending 20 hours of CEUs is all great, until you lose your documentation and can’t prove your attendance! 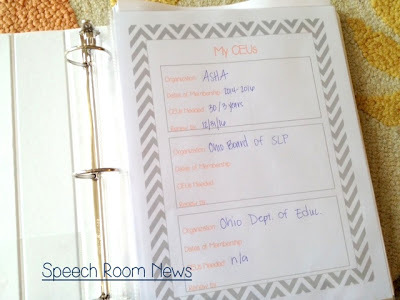 This week I was talking to an SLP who just finished her CF. 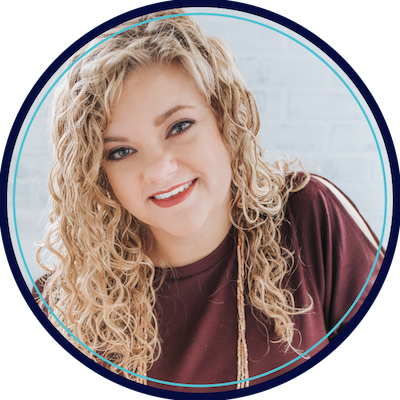 She’s going to be earning CEUs to keep her licensure for the first time. We were talking about how I organize and keep track of those hours and I thought I’d share with everyone! 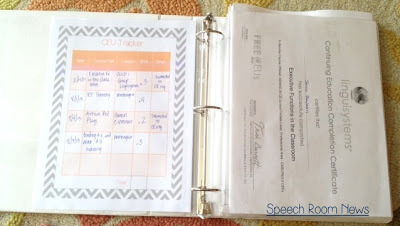 I use a 3 ring binder to keep track of everything. Start with a cute cover! 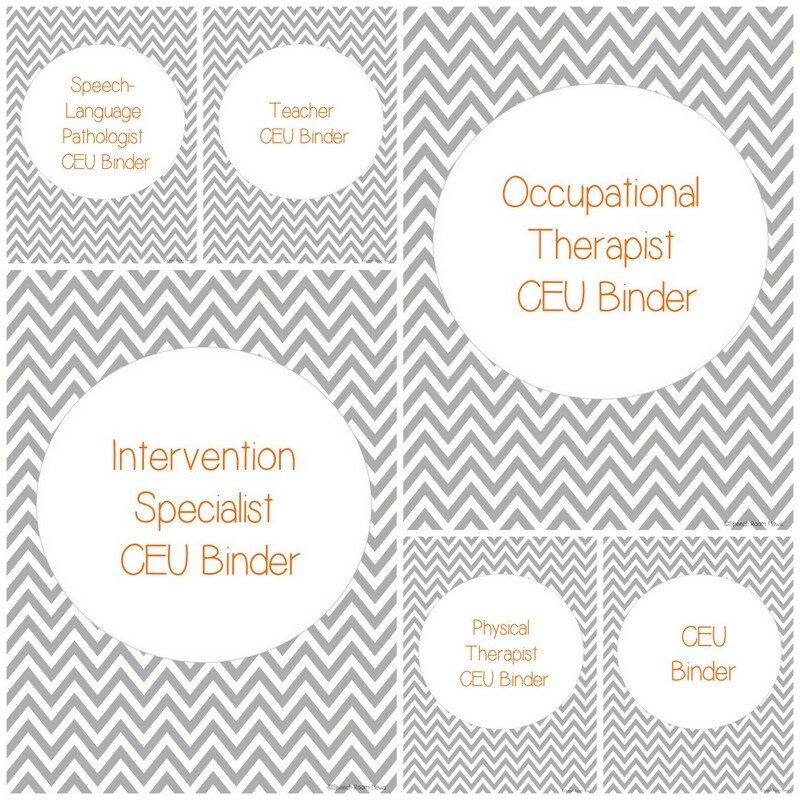 I have also included covers for Teachers, Intervention Specialists, OT, PT, and a generic option! I use this cover page to keep track of which licenses require CEUs. 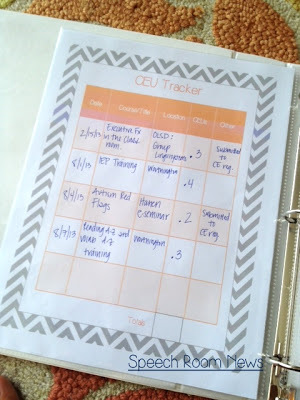 This helps me remember when/how many CEUs I require. It also helps me recall when I need to renew. 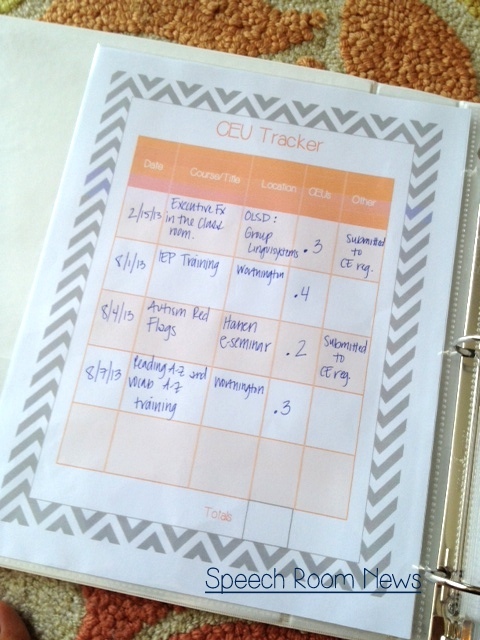 I use this log to keep track of the CEUs I complete. 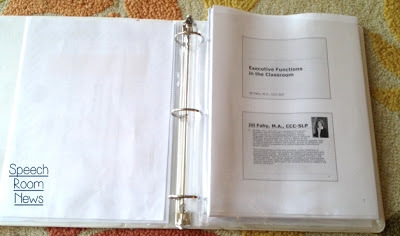 In the ‘other’ column I also record which CEUs have already been submitted to the CE registry on my behalf. I keep my certificates in sheet protectors. I also keep any notes/slides from the presentations. Do you use something similar to track your CEUs? 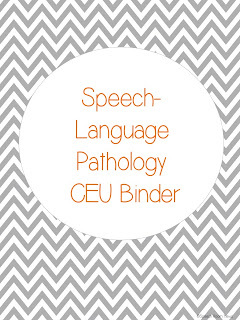 You can grab my freebie CEU binder over at my Teachers Pay Teachers site! 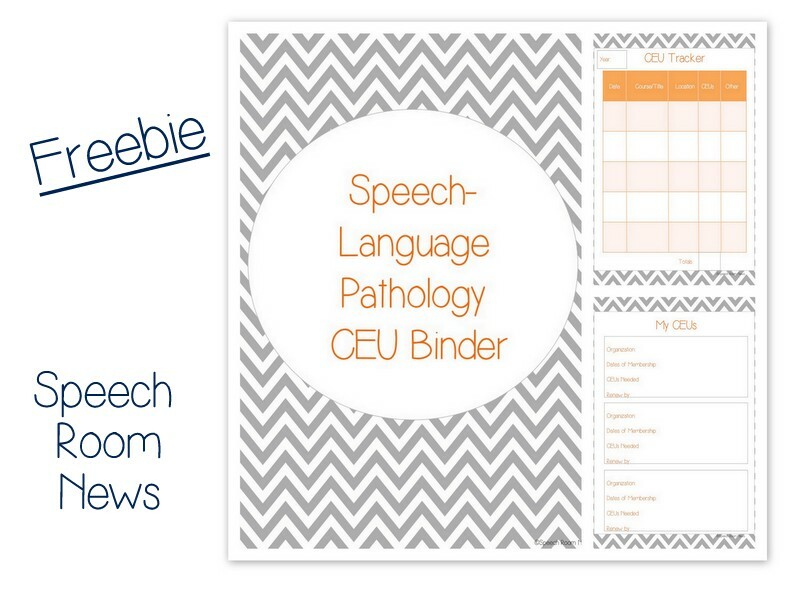 There isn’t one in the freebie that actually says Speech Language Pathology like you have here in the example. 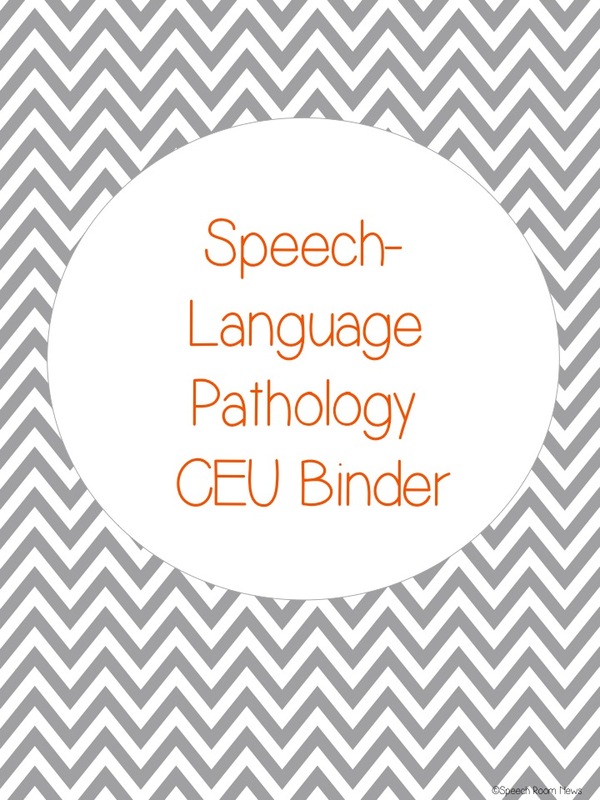 It just has Speech Language Pathologist and the others. 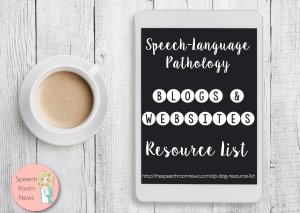 I am a Speech Language Pathology Assistant and I was going to use the one that said Pathology. 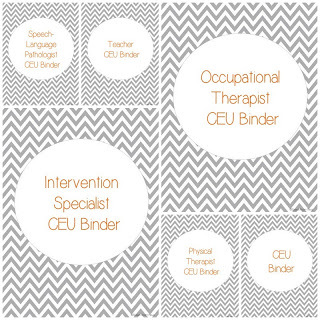 Yes, we have to get CEU’s too. Yea, Lacie I changed the format after I took the picture, but I can easily add an SLPA version. I didn’t think of that because my state doesn’t have SLPAs! Re-download in like 30 mins. Thanks Jenna! I will definitely be downloading and using this!! This is great! For years I have used the tracking form from ASHA, but this one is so much prettier! This is so much prettier than my lame-o spreadsheet! Thank you for sharing this! I keep my certificates & handouts in sheet protectors too…and all those powerpoint presentations take up a TON of room, but I haven’t found any way around it. I loved that at our state convention (TSHA) the presenters put ALL of their packets on a disc. I wish everyone would do this! What program did you use for the gray chevron background and font in the oval? I would love to use these in some home organization materials.